January 13, 2014 | Lens cap....off! I think things are slowly starting to click. I finally took a non-smoke break, grabbed my camera and headed out for the parking lot where I eyeballed birds, big and small. Wheels in the belly, no less. Climb, baby, climb! I thought I’d try my hand at some nighttime scenes, but I figured out pretty quickly that I need to learn a bit more about that before I try to get all fancy. 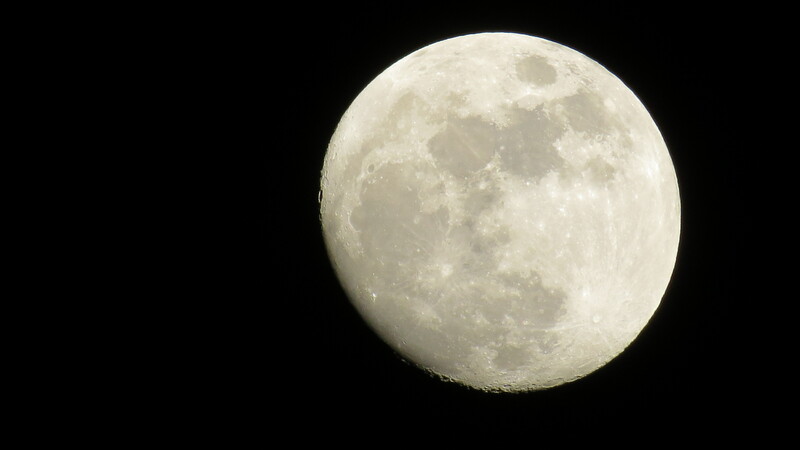 So I took a few pictures of the moon. So that’s that. Day 13, I think I like you. I think your getting the hang of this pic stuff!